Professor Alex. E. Felice is a graduate of the Medical School of the University of Malta and the School of Graduate Studies of the Medical College of Georgia, Augusta GA, U.S.A. He held academic positions on the Faculty at Augusta in both the School of Medicine and the School of Graduate Studies (Cell & Molecular Biology & Pediatric Hematology) and on the Research Service of the Veterans’ Administration Medical Center (Augusta, GA, U.S.A.) as Program Director in Hemoglobin Research (Molecular Hematology). During this time, his research was supported by grants of the US, National Institutes of Health and the Veterans’ Administration. In 1992 he was appointed Professor (Biomedical Sciences) in the University of Malta where he teaches courses in Molecular Biology and Genetics and the “Physiology of Blood and Body Defense Mechanisms” in the School of Medicine. Here, he directed the establishment of the Thalassaemia and Molecular Genetics services and the development of a Molecular Biotechnology Research Program including Genomics and the Malta BioBank. His research in Malta has been, in part, funded by competitive awards of the EU framework and other R & D programs. 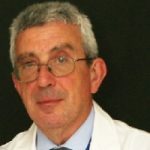 He is the author of numerous research manuscripts on the genetic disorders of haemoglobin gene control, including thalassaemia, and human molecular genetics. He is an elected member of several international societies in science, haematology and human genetics.